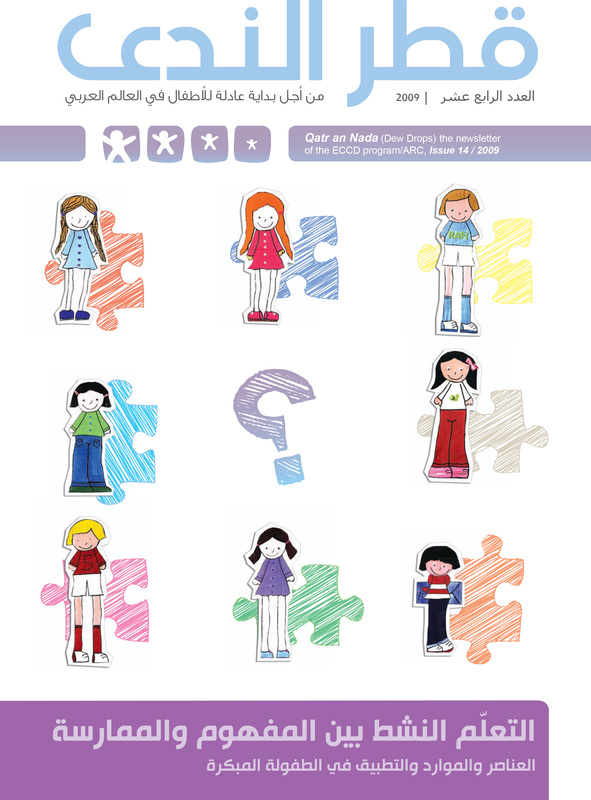 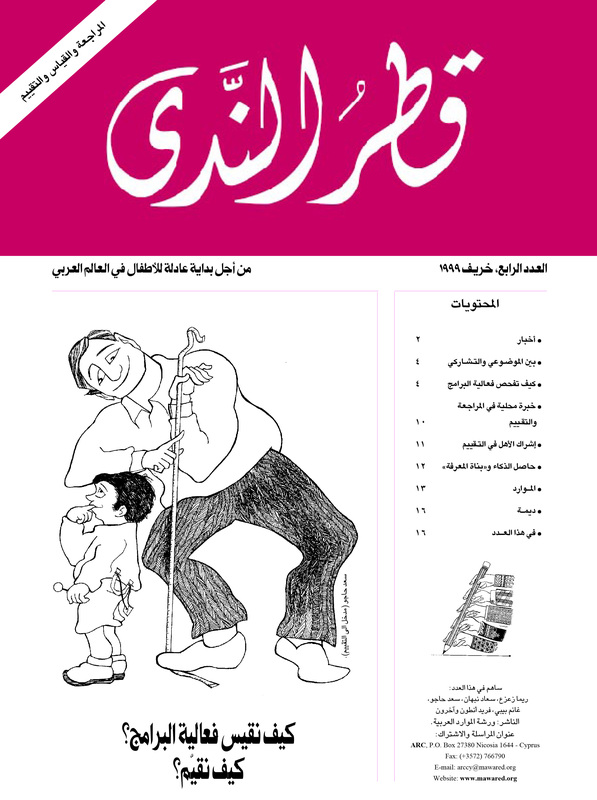 This newsletter aims to connect people working in the field of early childhood. 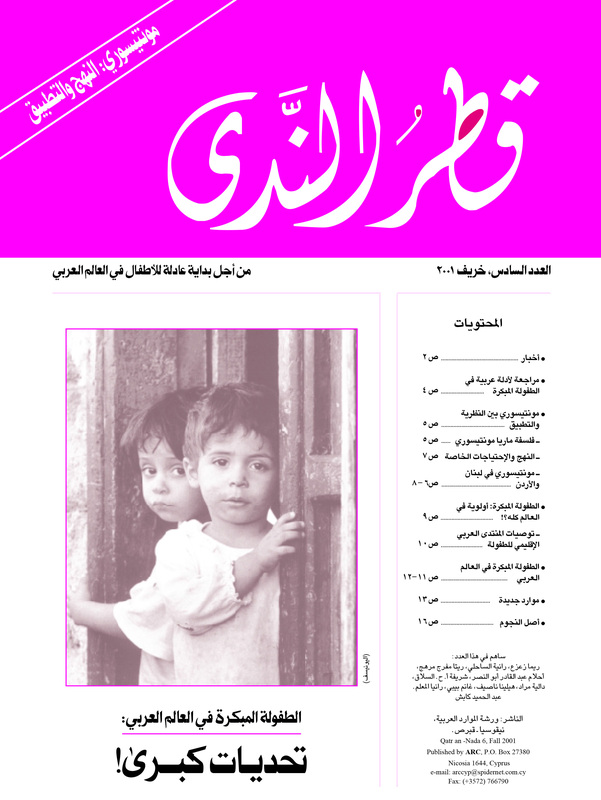 It is a tool for sharing knowledge, information and experiences, as well as networking in order to provide "a fair start for the Arab child". 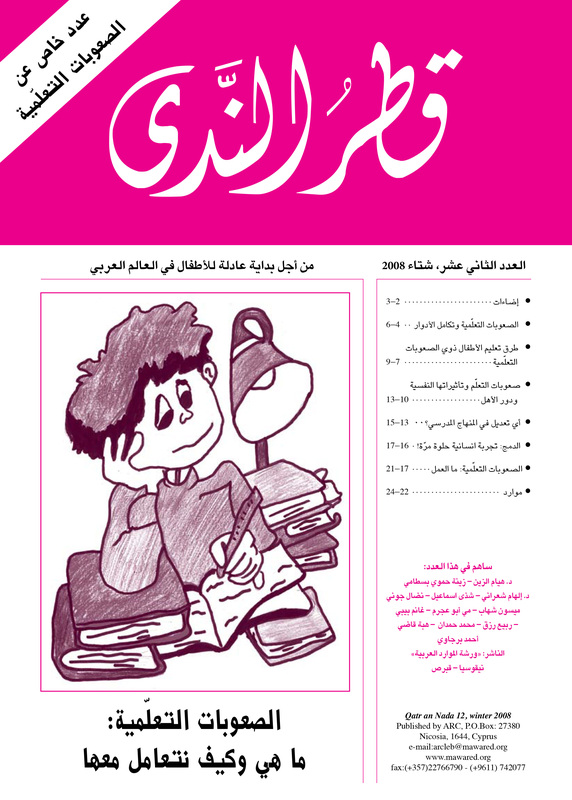 13 issues were published. 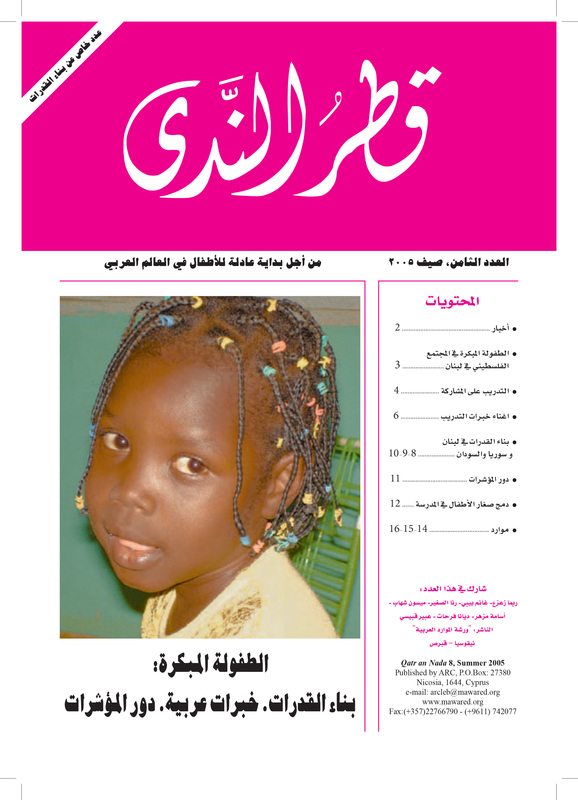 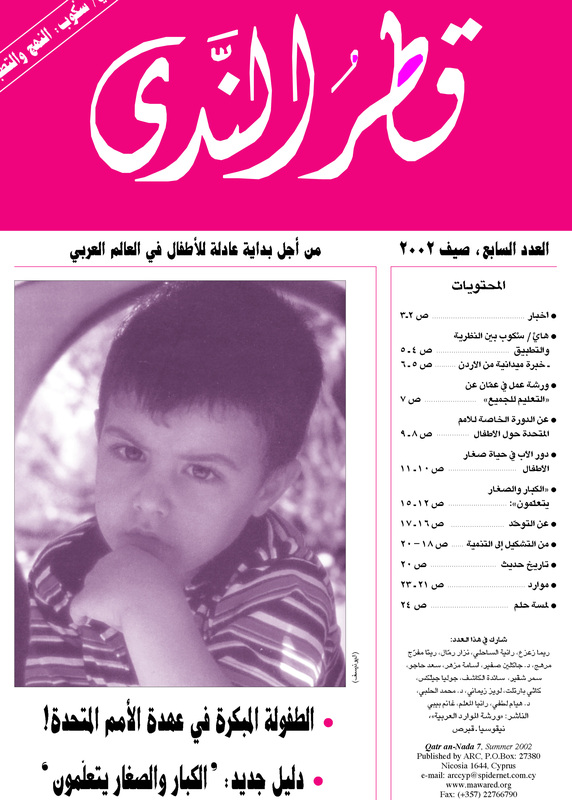 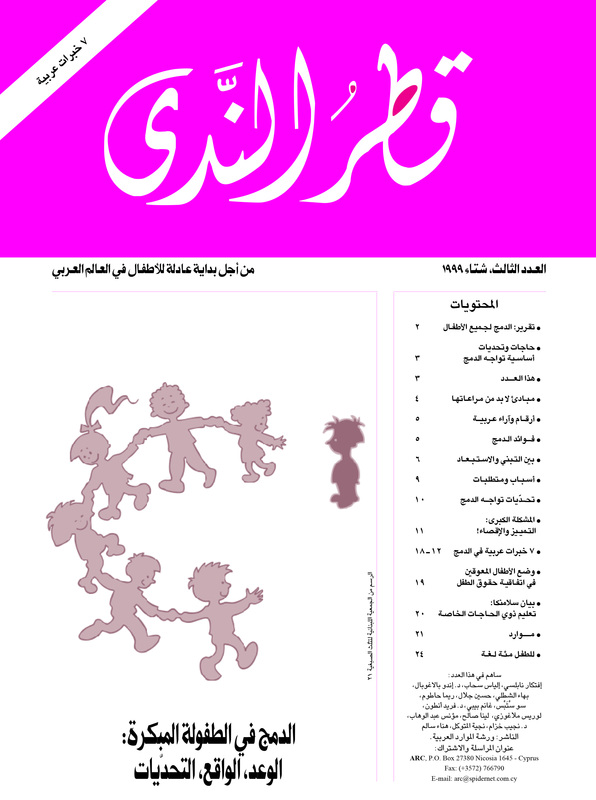 (The subscription (4 issues) costs 10 dollars for individuals and humanitarian associations, and 20 dollars for other institutions; the price of one issue is 2 dollars; published in English).